Baton Rouge, LA was the home of The Greek Fountains, considered by many to be the number one group in the City. They were certainly prolific and released six singles on various labels in less than two years. You'd think that was virtually impossible but not for The Greek Fountains. 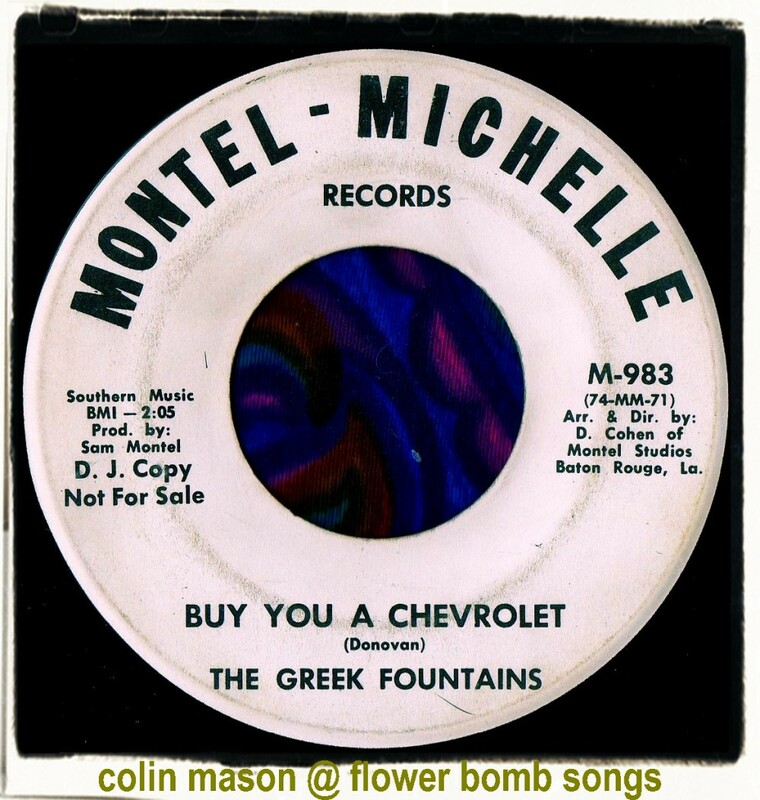 'Buy You A Chevrolet' (more widely known as 'Hey Gyp') is a cover of one of Donovan's more direct songs and was attempted by many combo's during the mid 60s. I'd wager that none were as energetic than this killer version with it's Yardbirds style rave-up, snotty vocals and harmonica. The flip 'What Is Right' sounds like a completely different group and may have been something of an experiment coming across as bizarre country & western. Think Flying Burrito Brothers on acid. The 45 got a mention in Billboard as a new release during December 1966.